Get a £50 Amazon e-voucher by recommending a friend to UK Versity Online !! Plus your friend will get an Amazon Fire Tablet on Course Enrolment. At UK Versity we pride ourselves on getting referrals from our existing students. We are announcing a “Refer a Friend” Scheme where you can refer a friend, colleague or a family member to study online with UK Versity. We believe that Word of Mouth is the strongest advertising tool for UK Versity. Most of our previous students recommend studying with UK Versity Online. 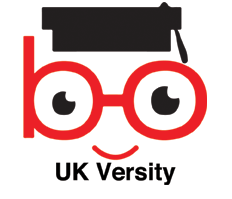 Over 500 students have given 5* reviews on the “Overall Experience” of teaching and learning at UK Versity. In order to show our gratitude for the referral, you will receive a £50 Amazon voucher and Plus your friend will get an Amazon Fire Tablet on enrolment. Simply ask your friend to mention the “referee name” in the “Additional Information” while completing the Enrolment Form on our website. You’ll then receive an email to confirm we have got your referral. As soon as the referral has got enrolled on a course with UK Versity, we will send the Amazon gift card via post.